Welcome to Kigali City, the capital of Rwanda. The city is famously loved by tourists that visit the country and all travelers before or after their tours to gorillas, wildlife and chimpanzee can not miss a visit to the city tourist attractions like the Kigali genocide, crafts and arts villages, museums among others. And before the Kigali city tour has been always conducted by private tour operators but there those that have been lucking this service but the RDB has put this sightseeing bus for visitors in Kigali as well as fun loving locals are in for a rare treat after a Rwandan entrepreneur introduced a city tour on a double decker bus. The man behind the novel idea, Augustin Munyandamutsa, told Sunday Times that they brought one double decker bus this month. Another one is expected before the end of August. They will officially launch, he said, on March 21 and start operation the next day. The introduction of this tourism product plan is to start in Kigali with a city sightseeing tour taking tourists to some of the city’s most treasured old and new destinations. Therefore, this bus route being affordable will be suitable for all travelers in Rwanda. Munyandamutsa said: “We will provide more sightseeing tour buses depending on the market. We have the capacity to satisfy the market with sightseeing tours. Officials at the Rwanda Convention Bureau (RCB) recently indicated that the year 2019 looks brighter for the country’s conference tourism sector due to the more developed hotels offering conference facilities and rooms to stay. A number of events are listed with numerous notable international conferences, including the Africa CEO Forum scheduled for March 25 to 26 bringing together top CEOs from across Africa. They will be offering three-hour city tours in three shifts. The first is in the morning, from 9am to 12 o’clock. This first trip will mainly cover “old Kigali,” – areas such as Nyamirambo, Kimisagara, Nyabugogo and other old parts of town. “This last shift will also take them to different places where they can see Kigali’s night life.” Locals are being encouraged to spend some money discovering fascinating sights of their city. A new report has indicated that domestic tourism remains the leading form of tourism. 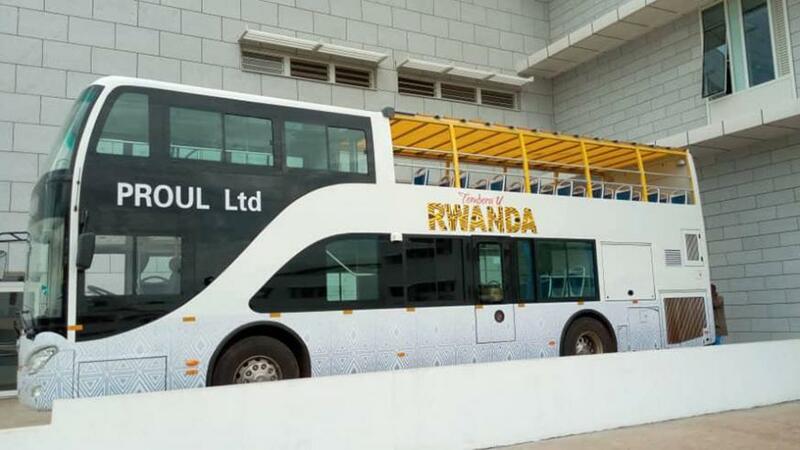 A foreigner will pay $50 for any of the three-hour rides while locals and citizens of the East African Community (EAC) pay Rwf25, 000 for the same duration. City of Kigali mayor, Marie-Chantal Rwakazina, commended the new enterprise for the creativity. The new project is seen as the best way of getting to know the city’s most fascinating sights. Rwakazina said: “Kigali has some interesting sites for recent, Genocide memorials and ancestral Rwanda history.